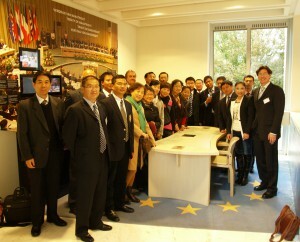 CETREGIO was firstly implemented 2010 by the Academy of European Law (ERA) with support of the EU-China Policy Dialogue Support Facility (PDSF). The event was designed for 17 regional and urban planning experts from the National Development and Reform Commission (NDRC) in eleven Chinese provinces. The programme started with one day of four lectures aiming at introducing NDRC delegates to the EU regional policy, EU legislation and to the regional disparities in Europe. Mr. Pablo Gándara, Project Coordinator, introduced the key figures of European integration and briefly explained the regional diversities across the continent. He also explained the institutional policy making of European legislation as well as the legal basis of European regional policy, considering the wider scope since the Lisbon Treaty. Mr. Gándara also introduced the economic development strategy Europe 2020. Mr. Ole Damsgaard, Director of the Nordregio in Stockholm, introduced the European territory, focusing on the concentration of population, the land-use and rural-urban typology, the accessibility of European regions as well as on the demographic development. He also explained different ways to measuring territorial disparities and potentials. As a result of EU regional policy, the regional gap has been remarkably reduced. Mr. Damsgaard also briefly introduced the key features of EU regional policy. Mr. Carlos Mendez from the EPRC in Glasgow introduced the reform of cohesion policy after 2013, focusing on the issues of concentration, performance and governance. Mr. Mendez underlined the importance of strategic coherence between policies and instruments. Although EU’s regional policy has achieved great results in tackling regional disparities, its instruments need to be simplified. The role of the European Commission should be rebalanced towards strategic management. Mr. Steffen Osterloh from the ZEW in Mannheim introduced the economic challenges the EU is facing when tackling regional disparities. He explained the political-economic motives for EU regional policy including the generation of spill-over effects, economies of scales and side payments to achieve a larger support for specific goals. He underlined that European solidarity is not as pronounced as solidarity at the national level. Mr. Osterloh analysed the allocation of cohesion funds in Europe and its political consequences. He finally concentrated on the economic evaluation of the policy, underlining that the convergence and territorial cooperation objectives have been largely achieved, whereas the enhancement of regional competitiveness has not reached the desired level. Taking into account the preferences of the NDRC on more praxis related topics, ERA offered two days filed visits, showing examples of project’s implementation within the framework of INTERREG III-A in Lorrain Region. 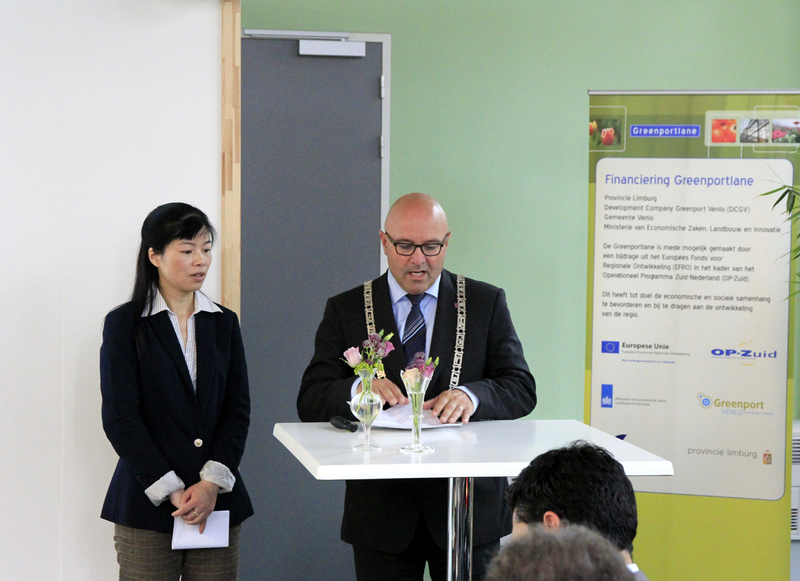 The INTERREG III-A in programme covers the two border regions (Saarland in Germany and Lorrain in France) and during the period 2000-2006, these have granted Community financing (from the European Regional Development Fund) to a total of € 26.712.543 for 34 projects. After a brief introductory session of the programme, most of the projects were presented by the local coordinators in Sarreguemines and a vivid discussion enabled the Chinese participants to receive a clear overview of the management system governing the programme. The delegation was then invited to visit one water treatment plant in Sarreguemines and coal museum in the former mine Petite-Rosselle. The programme continued the next day with visits to three EU-institutions in Luxembourg: the European Investment Bank (EIB), Eurostat and ESPON. Mr. Sebastian Hyzyk from the EIB explained the role of the bank in financing the regional policy. Mr. Daniele Rizzi from Eurostat focused on the role of geographic information systems (GIS) for regional policy as well as the European system for the classification of regions (NUTS). He also explained the roadmap for INSPIRE, a European spatial data system which will allow the harmonisation of different national standards. 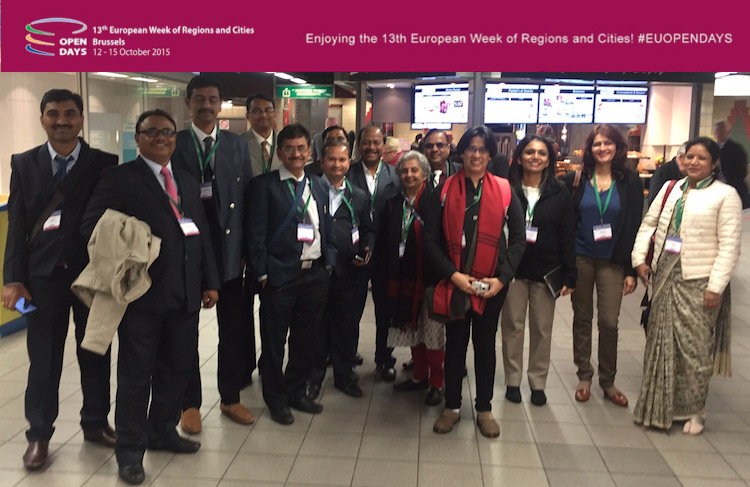 The delegation then visited the City of Esch in Luxemburg, where the head of ESPON, Mr. Peter Mehlbye explained the implications of territorial observation for regional policy making in the EU. Then, participants had the chance to travel to Brussels in order to interact with the European Institutions including the European Commission (DG REGIO), the European Parliament and the Committee of the Regions. During the presentation of Mr. Charles White from DG REGIO, participants were able to learn about European regional policy lessons for China. Mr. White focused on the importance of a long-term strategic vision as well as on the objectives “non-political”, transparent methods for raising and allocating resources. He also noted that empowering regions through the co-ownership principle brings a sustainable local identification with the regional development goals. Mr. White also noted the key role of bottom-up project development in order to achieve a broad regional development. Mr. Wolfgang Petzold from the Committee of the Regions (CoR) explained the regionalisation in Europe, the European and multilevel governance and the lobbying of regions at the European level. Mr. Petzold focused on the economic performances of regions and on the role of the CoR in coordinating and balancing regional incentives. He explained member states’ political orientations towards the EU and the different administrative orders of all member states. 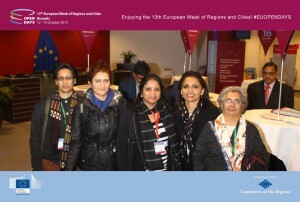 After a free Saturday and Sunday in Brussels and Brügge, the delegation traveled by airplane to Warsaw. The first meeting took place at the Ministry of Regional Development of Poland, where Mr. Piotr Siewierski, Head of the Department of Structural Policy Coordination, explained the role of European cohesion policy for the regional development of his country. In the years 2004–07, nearly 85 000 projects worth a total of €22.5 billion were implemented in Poland. Priority was given to investments in basic infrastructure. Mr. Siewierski also explained the key development priorities in Poland, especially with regard to lagging behind regions of the country. Mr. Marius Frankowski introduced urban policy and culture in the Mazovia region around Warsaw. The NDRC delegation then attended a meeting with representatives from the Board of Strategic Advisors of the Prime Minister. Mr. Paweł Kaczmarczyk and his colleagues Dominika Milczarek-Andrzejewska, Jakub Michałowski and Piotr Arak introduced the national development strategy until 2030. After explaining key development challenges for Poland (labour force participation, energy supply, quality of infrastructure, enhanced innovation, etc), they focused on the polarisation and diffusion of regional development until 2030. The Agenda 2030 is meant as a diagnosis of the current development of Poland, identifying nine strategic areas for medium term policies. During the afternoon the NDRC delegation met representatives from the City of Warsaw, where European funds have been implemented for urban development projects. NDRC delegates traveled in the next morning to Gdansk, where the Office of the Marshal of the Poimorskie Voivodeship organised a one day workshop including lectures from different departments. Mr. Mieczyslaw Struk, Marshal of the region, welcomed the delegation personally. Mr. Jan Symanski introduced the regional strategy for the region, delivering an overview of how different economic sectors in the region have been supported, including the reconstruction of the transport systems, the revitalisation of the poor city areas, environmental protection, the modernisation of the public tourist infrastructure and health care. Ms. Karolina Lipinska and Ms. Marita Koszarek focused on the clusters policies and the Pomeranian ICT clusters as future development axes. Mr. Robert Mazurkiewicz explained the cross-regional cooperation within the INTERREG project South Baltic Sea. The following day was dedicated to field visits of the Hewelianum Center, an interactive museum of natural sciences and innovation edified in a former fortress in Gdynia, as well as of the Pomeranian Science and TechnologyPark in Gdynia. The delegation then returned to Frankfurt, in order to visit Germany’s Federal Office for Cartography and Geodesy (BKG). Mr. Dietmar Grünreich, president of the BKG, explained the role of his office in supporting national, European and global geospatial data infrastructure (GDI). He focused on the European GDI, including Eurographics, INSPIRE and GMES. Mr. Grünreich concluded that sustainable development depends on reliable and useful geoinformation. After that lecture, the delegation travelled to Mainz, where a delegation from the Ministry of Economy, Transport, Agriculture and Viticulture (MWVLW) of Rhineland-Palatine explained regional development. Mr. Hans-Georg Schneider explained the historical economic development of the region, which has developed from an agricultural base (vinery) to an industrialised region (chemical, pharma and automotive clusters), still with an important development of tourism. Mr. Schneider explained the challenges of conversion of land-use in the context of the end of the cold war. Important technology and innovation centres have been since developed in these areas. 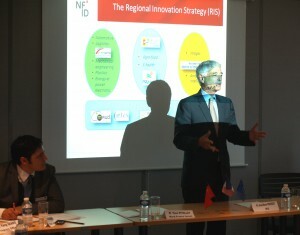 Mr. Kniestedt introduced the implementation of the European Regional Development Funds in the federal state. Further colleagues introduced the technology, agricultural and structural policy of the federal state as well as the relations with China, especially with the province of Fujian. 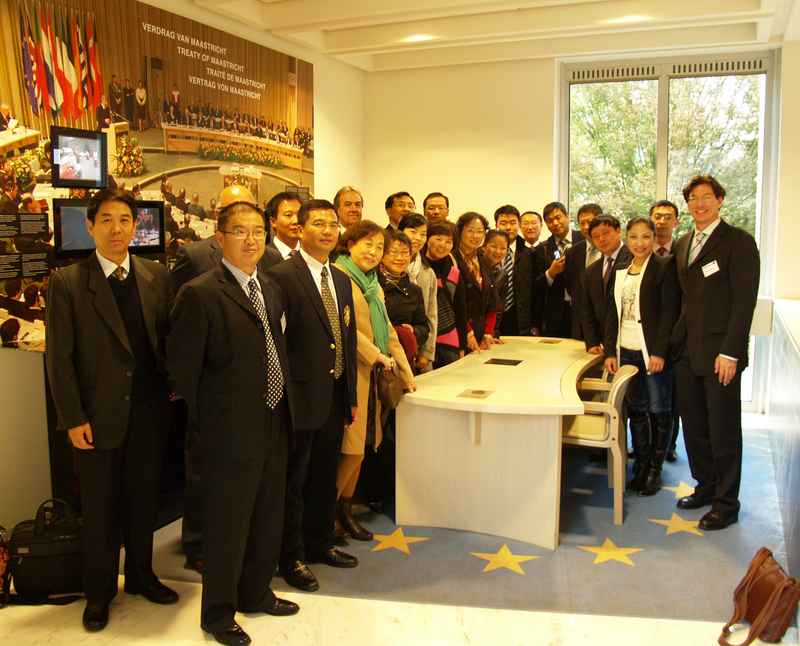 The seminar ended with a one day closing session in Trier, which included an evaluation round by the Chinese participants as well as a summary session by ERA. 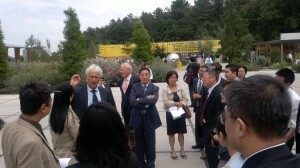 The feed-back of the Chinese regional planning experts arrived several days after the beginning of the training. The overall programme was received very positively by the Chinese delegates and the overall spirit in the group was very friendly and enthusiastic.